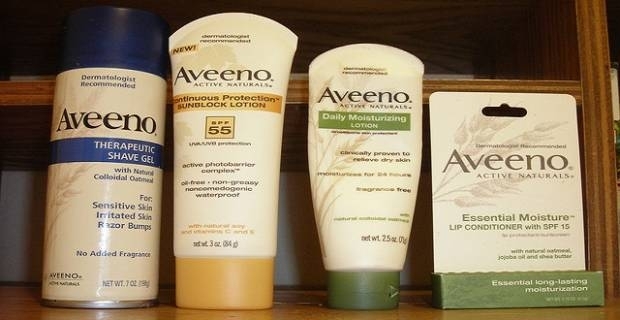 Aveeno, the company behind the Aveeno brand of skin care products, is a subsidiary of the world renowned consumer goods and pharmaceutical manufacturing company Johnson & Johnson. Olay, on the other hand is a brand of skin care products manufactured by multi-national consumer goods corporation Procter & Gamble. Both Aveeno and Olay represent the leading skin care products in the market. If you are looking for the best skin care product for you, you probably should know which brand wins the Aveeno vs Olay battle for supremacy. Let’s start off with Aveeno side of the Aveeno vs Olay battle. Aveeno skin care products are formulated to help protect and prevent dry skin, while conditioning skin and leaving it feeling soft, smooth and naturally healthy-looking. Aveeno nourishing lotion, for example, is clinically proven to improve the health of the skin within the first day of application with significant changes over a fortnight. The lotion is noncomedogenic (non-clogging), non-greasy and gently enough to use daily. However, Aveeno, might not be the best product for really sensitive skin or skin that is prone to breakouts. There has been complains in the past of breakouts in reaction to this product. Moreover, some people have had problems with the pump being gelatinous and not flowing. On the other hand, Olay (previously known as the Oil of Ulay in the United Kingdom), is formulated and clinically proven to moisturise and smoothen uneven skin textures, effectively combating wrinkles and fine lines. The product is thick and brightens skin without shine. It does leave a greasy appearance when first applied, but this quickly clears when the moisturiser absorbs into skin. A drawback of Olay is that it lies somewhat on the pricey side. It moisturises skin and leaves it feeling nice and smooth, but you probably can do that for a lot less money. 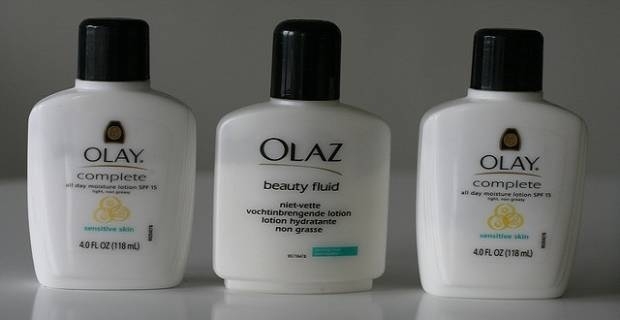 Moreover, like most other moisterisers out there, Olay will only reduce the look of fine lines and wrinkles temporarily. Some users have also reported it works well, but tends to leave the face looking white, which can be embarrassing at times. The Aveeno vs Olay battle tends to lean slightly in favour of Olay in our opinion. But, it is important to emphasise that both products represent the leading skin care products in the market. Also, dermatologists advice you understand your skin type first before you purchase any skin care product. Pay attention to the ingredients of every skin care product you choose. Never let product reviews and prices influence you choice too much. If your skin is sensitive, go for oil-free and fragrance-free products. If your skin is the oiler type, go for noncomedogenic options. This way you will identify the best skin care option for you and avoid many negative effects of using the wrong product for your skin type.